Prophet Samuel Abiara, the spiritual leader of Christ Apostolic Church worldwide has advised Nigerians to put their mind at rest and shun prophesy of doom attributed to the year 2019. 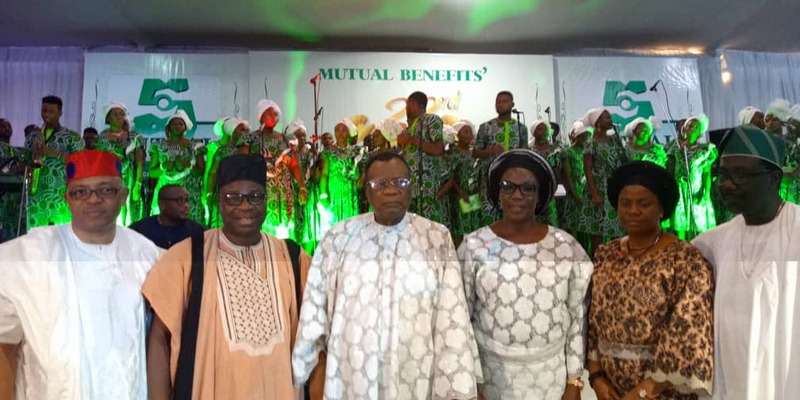 The renowned evangelist said this in Lagos on Saturday while speaking at the 23rd Annual Thanksgiving service of Mutual Benefits' Assurance. He was quoted in a statement signed and made available to pressmen in Osun State by Ismail Afolabi, Press Secretary to Dr Akin Ogunbiyi, the chairman of Mutual Benefits' Assurance. The prophet tasked Nigerians on thanksgiving, saying, "give thanks to God in every area of your life. Don't cry, weep or kill yourself. If you sing to God and praise Him, you would reap signs and wonders in life. Don't listen to prophecy of doom. 2019 is a year of happiness. Be diligent in whatever you are doing and thank God always." He extolled the chairman of the company, Dr Akin Ogunbiyi, declaring, "we were here when the company was 10, 20 and now 23 years. Ogunbiyi has always been thanking God and giving Him all the praises." "This company remained strong because God is the Alpha and Omega of the company. Note that there's no company, person or nation without challenges but if you continue to give thanks, you will always see the hand of God." "Give thanks to God, and you will see miracles, sign and wonders. Thank God in times of challenges and attacks, you will overcome and continue to triumph." In his address, the chairman of the company and stalwart of the Peoples Democratic Party in Osun State, Dr Akin Ogunbiyi said his greatest testimony was joining politics without compromising his faith. "People use so many means to get power. But, I went into politics and did not compromise my faith and believe in God. God was and is still with me. This is my greatest testimony." "There were temptations but God sustained me. I keep saying to everyone around me that nothing will separate me from the love of God. Money. Power. Nothing! I thank God Almighty for the journey and acknowledge His grace." The event was well attended by professionals, university dons, politicians and traditional rulers including his Imperial Majesty, AbdulRasheed Adewale Akanbi, Oluwo of Iwo, Oba Habeeb Adetoyese Agbaje, Olu of Ileogbo, Oba Kazeem Adio, Onigege of Igege, Prof Kayode Alao, chief Shuaib Oyedokun, senator (Dr) Olu Alabi, Mr Goke Omigbodun, Mr Opeyemi Bamidele, Mr Akin Adeyi and other dignitaries.